By Car – Silver Bay WMCA – Conference and Family Retreat Center is located at 87 Silver Bay Rd., Silver Bay, NY – approximately 13 miles, via 9N, from Ticonderoga, NY. By Air – Albany International Airport (http://www.albanyairport.com/) near Albany, NY. From the airport, there are transportation services that you can call in advance for reservations. Limo service and car rental services are available from Albany International Airport. Limo service from airport and surrounding areas (http://albany-airport-transportation.com/) (518) 888-6449 from Albany International Airport approximate $172 for first person, +$5 each additional person up to 4 maximum, each way (@$46pp + gratuity). Felters’ Fling offers a unique venue, wherefeltmakers gather from North America and abroad. 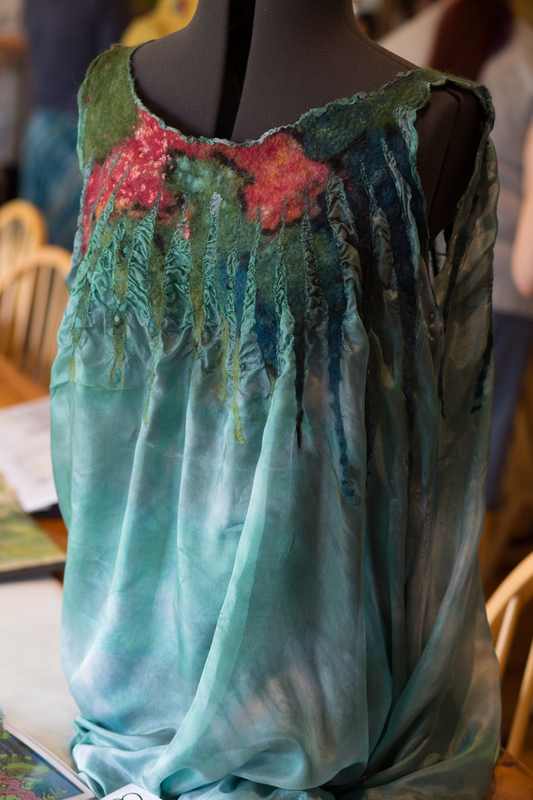 Felters’ Fling celebrates the diversity of feltmaking techniques and the artists who create them. With ten 2, 3 and 5 day workshops to choose from, there will be new techniques to learn, new ideas to ponder and time to hone your newly learned skills in a collaborative environment where camaraderie and creativity flourish.